This wine perfectly showcases the varietal character of our Sauvignon Blanc grapes. Pale straw in color, with aromas of Bosc pear, citrus, spice and tropical fruit in the nose. Bright flavors of pineapple, grapefruit, kiwi and pear mingle in the mouth. A crisp entry with a nice balance of acidity and fruit segues to a round and full mid-palate and concludes with a clean refreshing finish. Our Merlot displays all the unique characteristics of its Knights Valley terroir with aromas of black cherry, vanilla and spice that continue onto the palate. 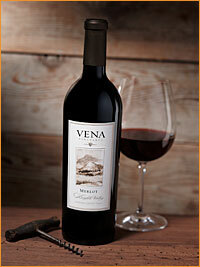 A crisp, yet balanced entry supports intense red fruit flavors of plum, cranberry and blackberry. Round, supple tannins provide an enticing structure for the flavors and contribute to a velvety, lingering finish.